This is not a post about self help, at least not one that will guide you out of wanting and into some higher state of being. Rather, this is a post about my personal battle with it and confronting it. Thank you for reading part of catharsis. Eckhart Tolle, author of the Power of Now, would likely describe it as part of the ego. I say likely as, to be honest, I have yet to read the book in its entirety – but it is a good book and has lots of knowledge to share. Anyways, this craving of things simply for the sake of having them, to show others your status, or in the Vanagon arena, simply to do it because it looks cool, is at the core of our displeasure. For one, the idea that this thing, whatever it is, is what is keeping you from being truly happy is in itself a farce. It can be seen in every aspect of our lives – we see something we just have to have, we buy it, we get a jolt of dopamine, we are happy …and then that feeling, maybe even the same day, fades away. This is especially true in regards to things that get replaced, like cell phones. We are so excited to get the newest phone. Finally we can do XYZ with it! Then only months later some new phone comes along that does XYZ better or faster, or possibly XYZ isn’t even a thing you need or want to do anymore. Then, that item that was the beacon of light just months ago is now the source of displeasure; it no longer brings joy to your life, or worse, it brings unhappiness. 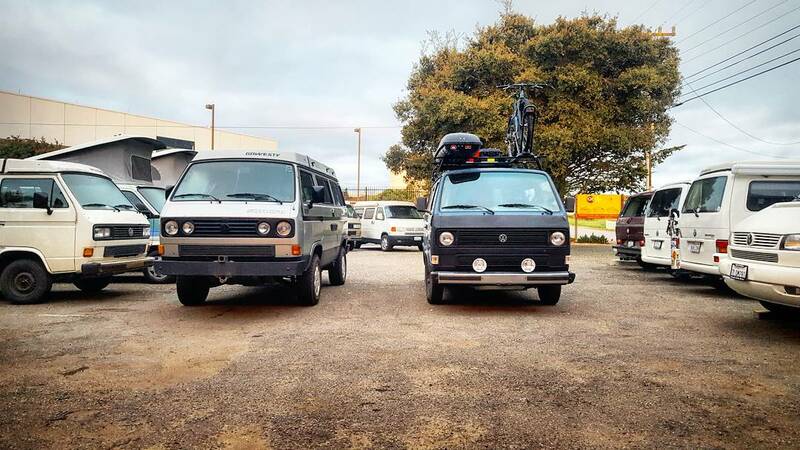 Personally, I find that I battle with it greatly in regards to my Vanagon. I spend a needless amount of time pouring over photos of vans – way more than is probably healthy. I drool over these add-ons and customizations. I have a running list of things I want to do to my van, and if I were honest with myself, I would look through this list and realize that none of them are necessary – they are just wants. Sure, would my van ride better with new springs, likely. Would the Syncro mirrors provide better visibility behind me, probably. But none of the long list of customizations I wish to make are really necessary. I simply want them because it makes the van look cool. On an egotistic side, these changes portray something about me to those who see my van. Surely, with all that racking and gas cans on the back, surely that guy does cool things and is interesting, right? I mean, when I see a decked out van or overland rig that is what I assume. SO what do we do with that information? We know that these things will not bring long lasting happiness. We know that there are better uses for that money, like savings, investments, or paying off debt; but that is not a fun place to spend our money. We all have hobbies, of one sort or another. Should we not be ok with spending money on our hobbies? I guess maybe the question at the core of the battle with “wanting” is the “why.” Why do we want this thing? Do we want it so others will envy us, or do we want it because it will make our life easier by enabling us to do more? Ultimately I don’t have a piece of wisdom to share at the end of this post; rather I am going to leave you with a two part question. What is the current thing you want, and why?